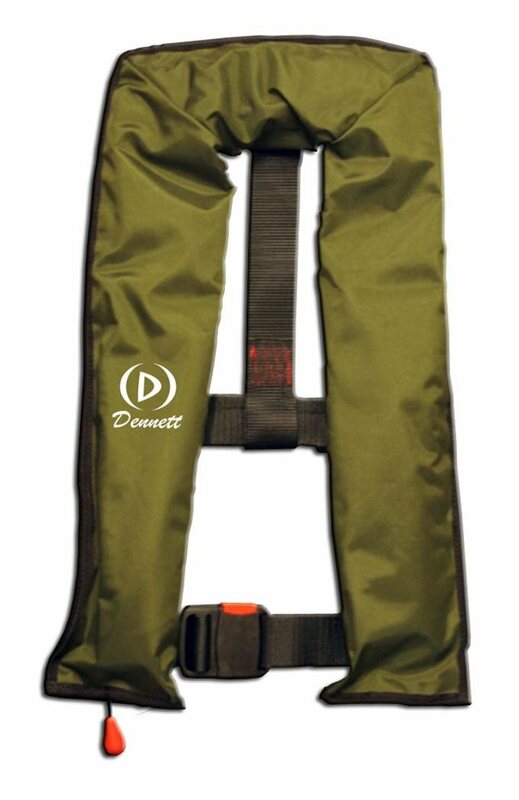 This auto lifejacket inflates when submerged in water. Uses a 33g UML cylinder and has 150 newton buoyancy. CE aproved. Dark olive colour bladder outer for camouflage purposes (bright yellow once inflated).